Database quality depends greatly on the accuracy of the requirement specification and the greatest effort should focus on improving the early stages of database life cycle. 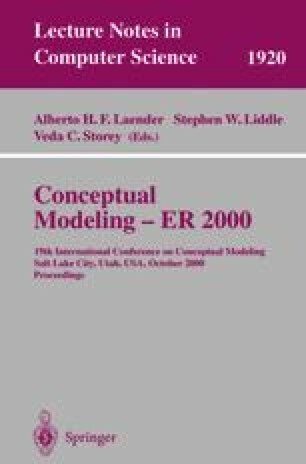 Conceptual data models form the basis of all later design work and determine what information can be represented by a database. So, its quality has a significant impact on the quality of the database which is ultimately implemented. In this work, we propose a set of metrics for measuring entity relationship diagram complexity, because in today—s database design world it is still the dominant method of conceptual modelling. The early availability of metrics allows designers to measure the complexity of entityrelationship diagrams in order to improve database quality from the early stages of their life cycle. Also we carried out a controlled experiment in order to analyse the existent relationships between each of the proposed metrics and each of the maintainability sub-characteristics. In order to analyse the obtained empirical data we propose a novel data analysis technique based on fuzzy regression trees.